As space agencies and private companies develop plans for trips to the moon and Mars, new research suggests that the amount of radiation astronauts are exposed to is on the rise. NASA should update its radiation guidelines for astronauts, new research recommends, because there is now more accurate data about how space affects the human body. Nathan Schwadron is a physics professor at the University of New Hampshire and lead author of a new study in the journal Space Radiation. Using an instrument on NASA's Lunar Reconnaissance Orbiter called CRaTER, his team found that rates of a certain kind of radiation in space are even higher than they previously predicted. This could pose a possible health risk for future voyages to the moon or Mars. In recognition of the increased risk, Schwadron and several other radiation experts are working with NASA and other space agencies to revise radiation standards. The work will start with the publication two or three studies that will evaluate the health risks associated with exposure to radiation in space, Schwadron told Seeker. "It's something we have to deal with, this year," he said, adding the researchers will need to "come up with some new ways of understanding biological risk, and take into account the recent research and the changes in the environment." The European Space Agency allows its astronauts a lifetime maximum of 1 sievert of radiation, which is associated with a five percent increase in lifetime fatal cancer risk. 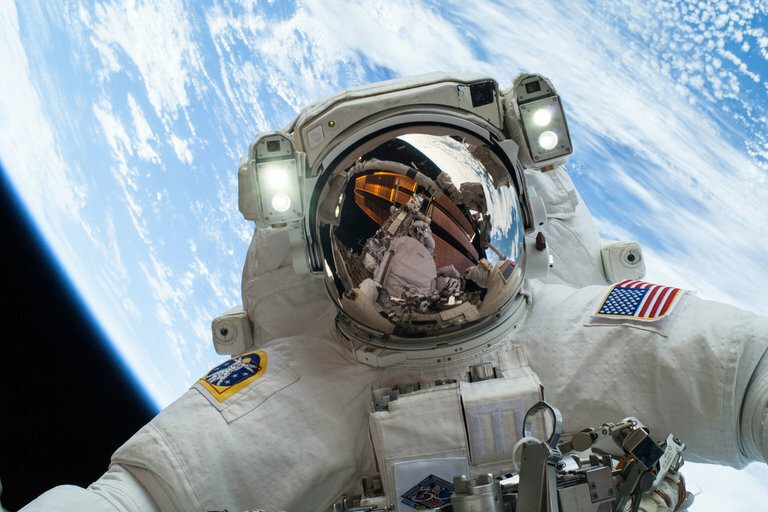 NASA's guidelines are stricter, limiting astronauts to a three percent increase in cancer risk. By comparison, measurements from the Mars Curiosity rover in 2013 suggest an 860-day trip to Mars (including 500 days on the surface) would subject individual astronauts to dosages of 1.01 sieverts. Solar activity follows an 11-year cycle of maximum and minimum activity. At its maximum, the sun releases more solar flares, as well as coronal mass ejections of charged particles and radiation. But in the past few decades, the sun's maximums have been somewhat muted, and that's affecting the radiation environment in the solar system. When the sun is active, its magnetic field can become more intense, directing galactic cosmic rays — another source of radiation — away from the solar system and any astronauts who might be traveling to Mars or the moon. A quiet sun, however, does a poorer job at deflecting cosmic rays. Estimates from 2014 by Schwadron suggested that cosmic ray radiation would increase by 20 percent between two solar minimums. But the new study shows radiation levels are even worse — potentially 10 percent more than the previous estimate. "I don't want to overstate it; I don't think this is going to cause major levels of radiation sickness," Schwadron said. "But the connection between fluxes of cosmic rays and cancer remains a very significant biological problem, which I don't think we really understand." The Trump administration recently tasked NASA with sending astronauts back to the moon. Those future crews, however, will face a different radiation environment than the Apollo moon crews of the 1960s and 1970s. While bursts of solar activity remain a threat to today's crews, the quieter sun means today's astronauts will face more galactic cosmic rays than Neil Armstrong, Jim Lovell, or any of the 20 Apollo astronauts who walked on the moon or orbited it. Schwadron added that the time to start work is now, as it will take time to define the guidelines. Making the issue trickier is the research falls between biological and physical science disciplines. "This is definitely an area of research that we need greater investment in, and [we need] a way to push through the barriers in between disciplines," he said.